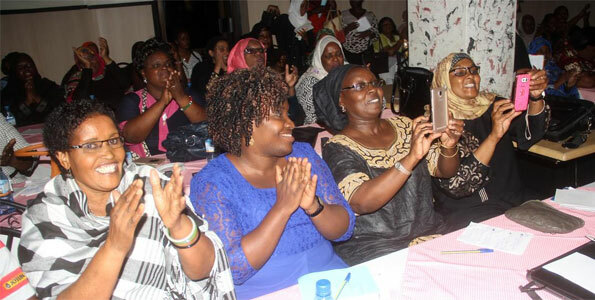 businessdailyafrica.com - Women entrepreneurs at a meeting in Mombasa last year. Kenya aims to advance women’s economic participation and self-reliance by creating a conducive environment. PHOTO | FILE Last week, Kenya’s candidate for the African Union (AU) Commission chair, Amina Mohamed, lost to Chadian Moussa Mahamat despite her candidature looking promising. Last year, Hillary Clinton lost to Donald Trump despite a promising campaign. The question on many people’s minds is whether the world ready for women in political leadership positions? The 2016 US election opened up a lot of case studies on women and leadership positions. I would not be in a position to comment on that ( whether there was a gender card in the two elections), however in today’s rights that show that Kenya is one of the countries in the world with good legislative environment when it comes to women. We have to understand these efforts against the backdrop of the Kenyan society where a lot of African cultures are male-oriented. The situation is not the same in the West where there have been equal rights for men and women for a much longer time.